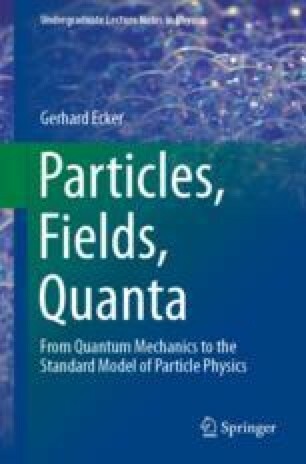 As the name indicates, quantum electrodynamics (QED) is the quantised counterpart of classical electrodynamics and it describes the interaction of the electromagnetic field with charged matter particles. In the Standard Model (Chap. 9) the matter particles are leptons and quarks. Here we restrict ourselves to the simplest and historically most relevant case of the matter particles and only deal with electrons and, as always in quantum field theory, their antiparticles, the positrons.